And you think Intel isn't everywhere... You are wrong. 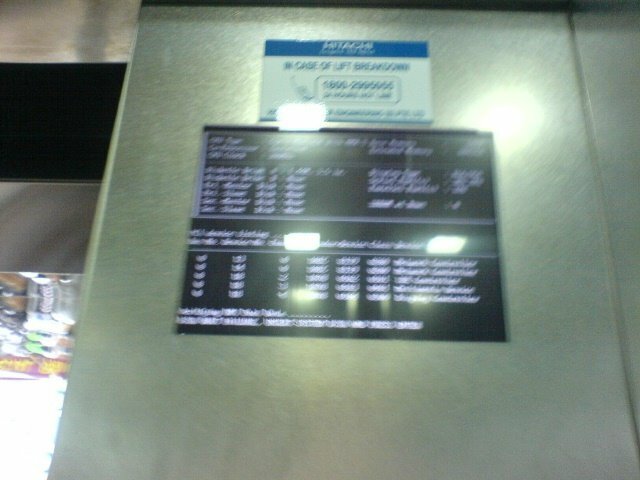 As far as this picture proves, your lift is controlled by Intel (or AMD but given the heat, highly unlikely) and quite possibly Microsoft OS as well. This has been there at the Sim Lim Square center lift. Well done Hitachi. We already know you have a computer inside. You can fix it now. Thank You.